For ArtPrize Seven, I created an entry titled Revelry. 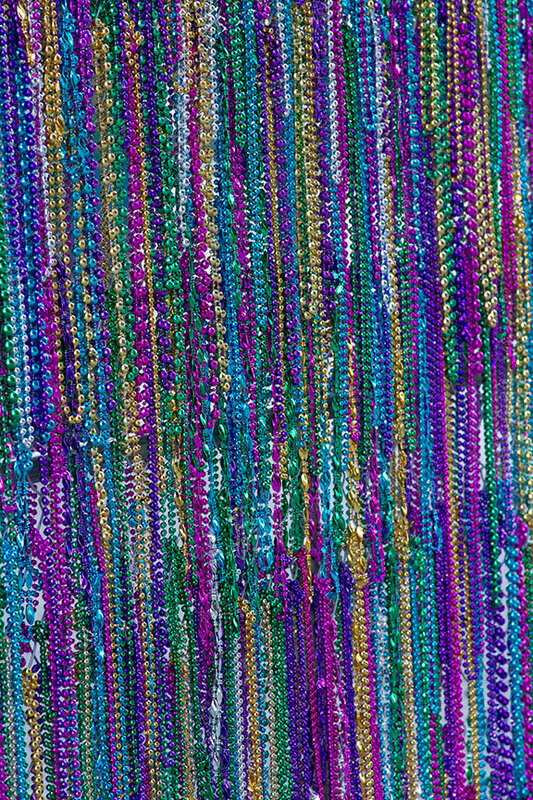 Thirty thousand shiny, colorful plastic bead necklaces hang on a temporary steel chain-link fence on Calder Plaza in Grand Rapids, Michigan. 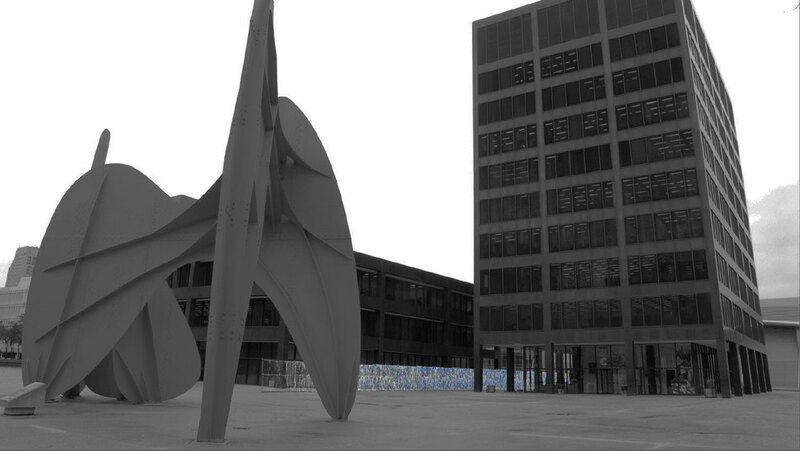 Revelry stands six feet tall and spans over two hundred feet between City Hall and the Kent County Building. By moving along this large-scale outdoor installation, the viewer is invited to take a transcendent journey through space and color. 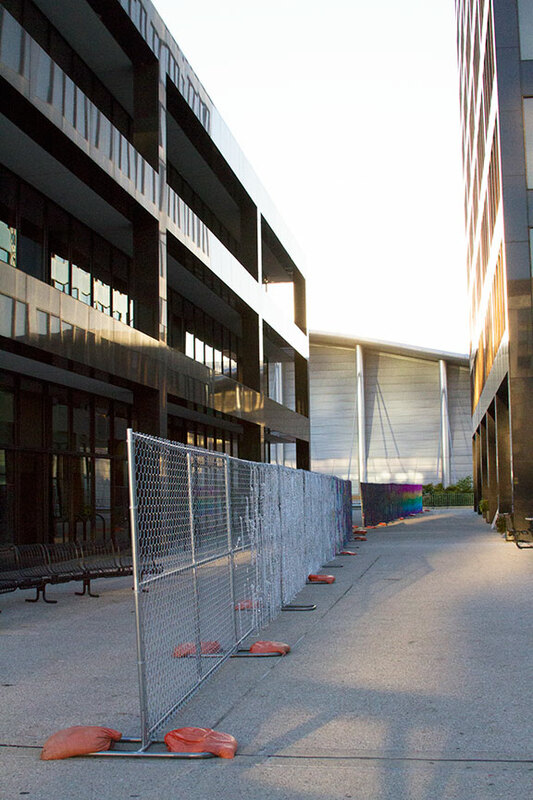 Beginning near La Grande Vitesse, Revelry appears as an ordinary fence, particularly referencing construction zones or disaster sites. As the viewer moves along the fence and away from the stabile, silver bead necklaces sporadically appear, growing in numbers until completely filling the grid of metal lines with shiny reflections of silver light. As the viewer continues to move along the fence, even further away from La Grande Vitesse, the silver beads evolve into hints of recognizable color of pinks, golds, greens, blues and purples. In a chaos of colored pixels, the sea of beads imitates the static of an old television searching for a visual signal. As the viewer continues, the static begins to change into something, like a kind of unexpected message. And as the viewer has moved down the narrow space between the large buildings, no longer in sight of La Grande Vitesse, the message is clear: the pattern of the beads reveals an organized spectrum of light, a rainbow of color. From a sign of divine promise following a great flood to a signifier of pride and equality, the rainbow has culturally affected humanity in so many ways. As the fence concludes in a rainbow, the viewer has arrived at the emotional "pot of gold", an open-ended and selfie-worthy space for personal reflection. 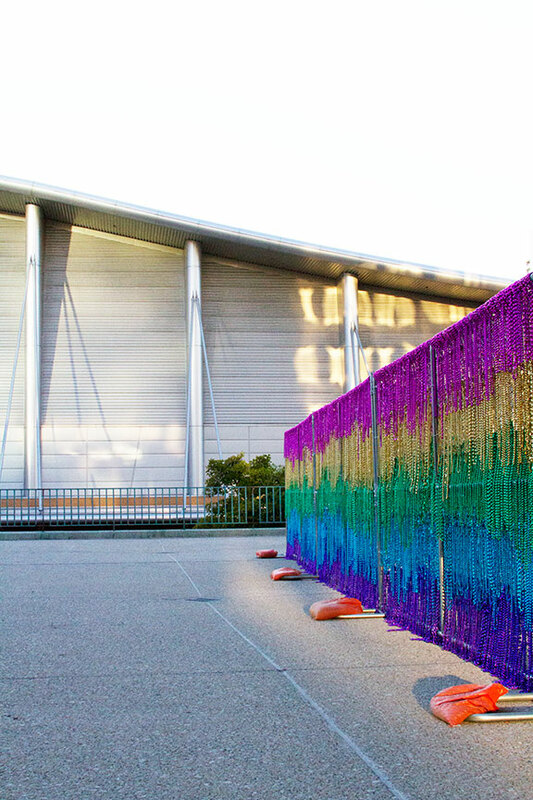 I also imagine that as one turn's their back to the stabile and to travel along the fence towards the rainbow, that the act itself is a bit of a peaceful protest to a site that caused me a lot confusion and conflict during my initial setup into the ArtPrize competition. Rooted in a lineage of American sculpture and installation, Revelry continues a tradition of play with modern materials. 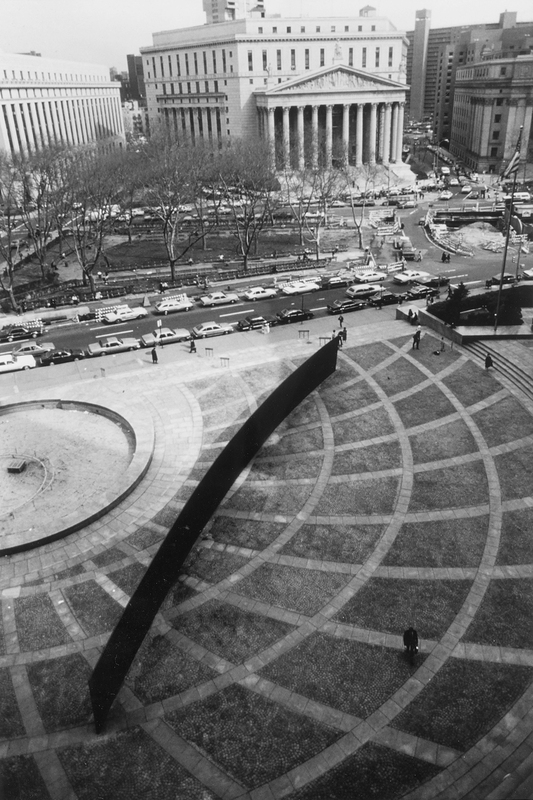 From Alexander Calder’s theatrical circus and open-air wirework, to Richard Serra’s Tilted Arc, to Felix Gonzalez-Torres’s intimate beaded curtains, Revelry speaks to ideas of time, space, color, devastation, perseverance, humor, and love. Playing with themes from some of my earliest work in college, Revelry raises a glass to my fellow bros Arthur Vandenberg (Delta Upsilon at University of Michigan) and Alexander Calder (Delta Tau Delta at Stevens Institute of Technology). And touching upon my interest in global perspectives, the modern spectacle of the plastic bead material represents a ubiquitous idea of manufactured mass market goods produced in China and consumed in America. My ambitious idea started with a request for the people of ArtPrize to throw parties to celebrate the holiday. 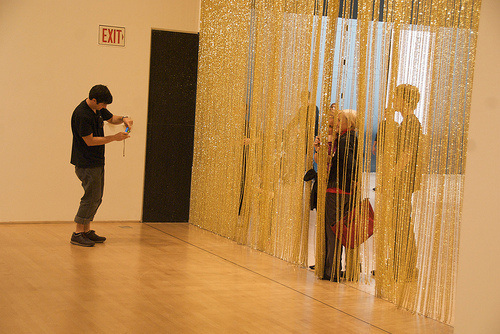 At these parties, folks would share plastic bead necklaces with each other in exchange for conversations about art. With these beads, revelers would travel around Grand Rapids, experiencing the art and the city itself. 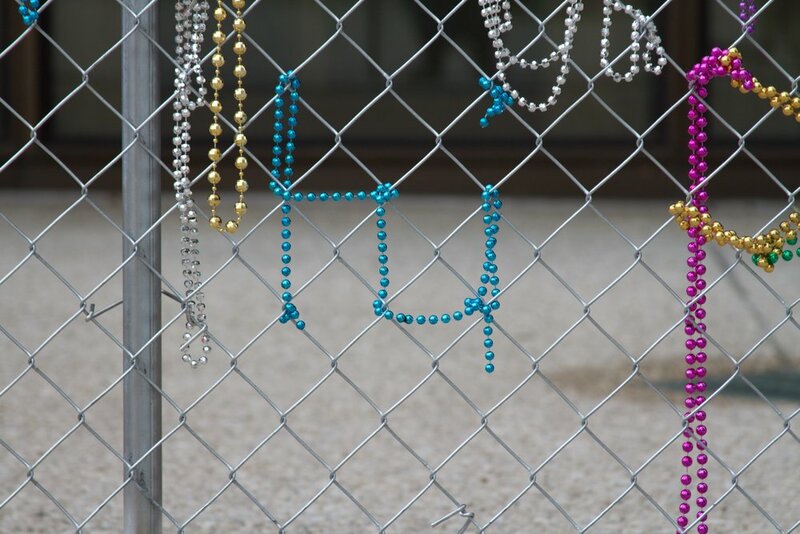 This year, I asked that everyone come to Revelry and knot their beads on the fence as a new ritual at ArtPrize. The fence was always meant to represent the conversations and controversies of ArtPrize – the line of ongoing debates between good art versus bad art, public vote versus juried award, figurative versus abstract, and local versus global. 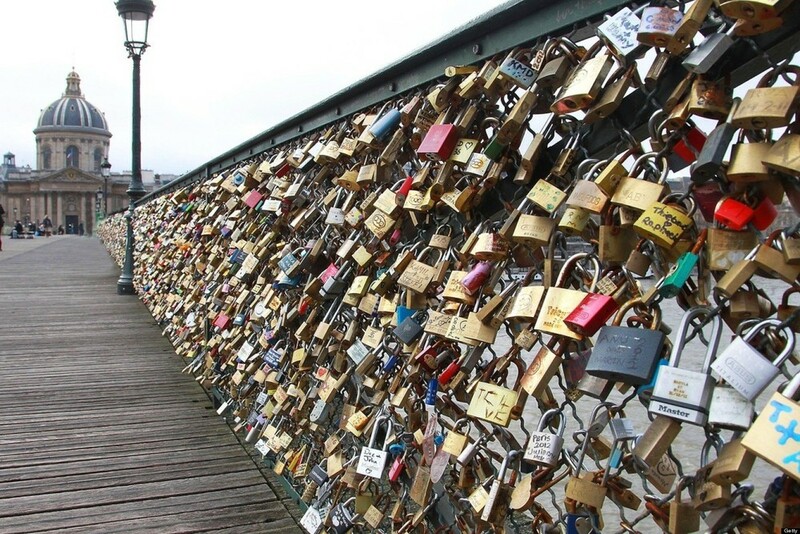 So let’s celebrate those conversations by enacting the behavior of honoring the fence with our beads, much like performed rituals throughout the world in places like the Western Wall in Jerusalem, Maya Lin’s Vietnam Memorial in Washington D.C., and the (now defunct) Love Locks on the Pont des Arts in Paris. Next year and in years to come, we can select new sites to carry on this festive tradition. 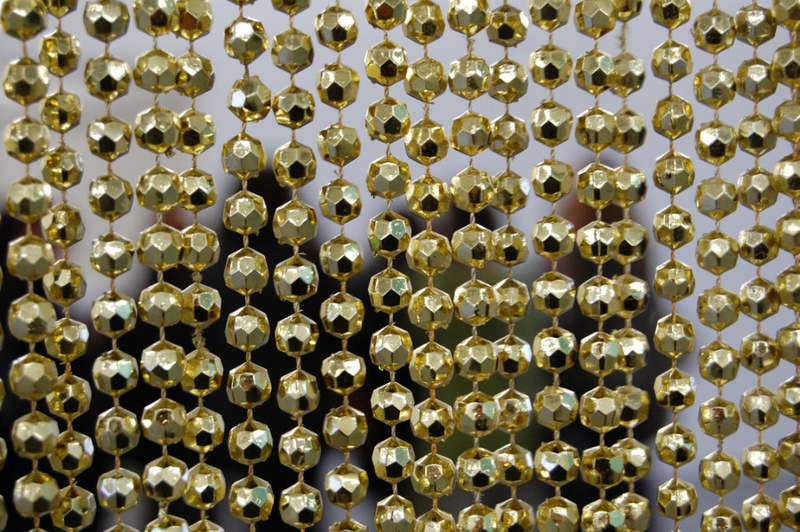 Though Revelry was intended to last the duration of the 19 day art competition, the sparkling shiny beads remained on the fence for only four days before visitors removed the highly coveted objects. 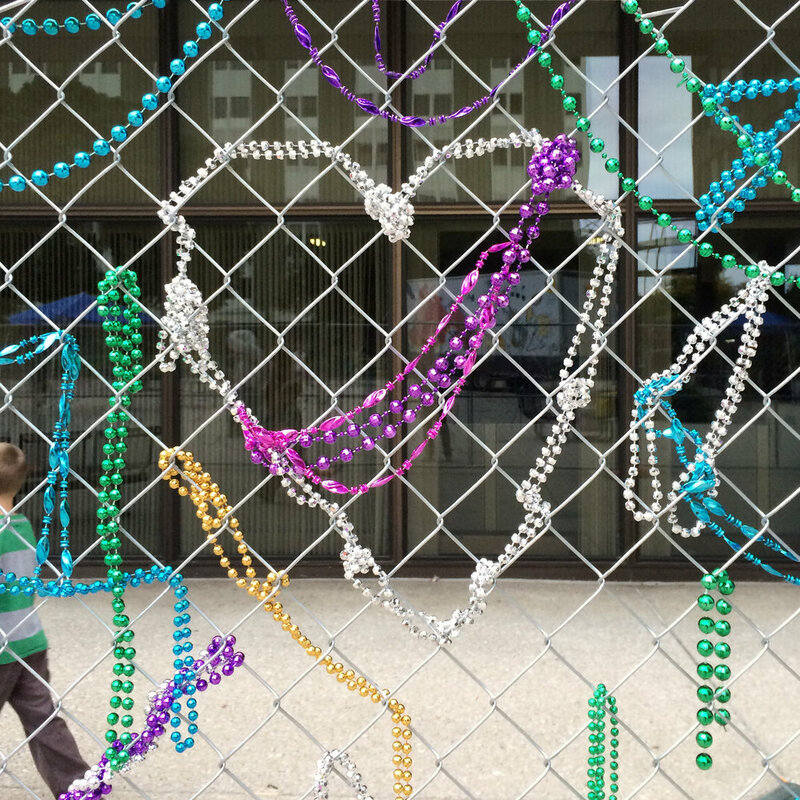 As the intention of Revelry was to highlight the identity of public art and begin a new tradition at ArtPrize of adding beads to the fence, its own controversial raison d'être was exemplified as the tradition was reversed and beads were removed from the fence. 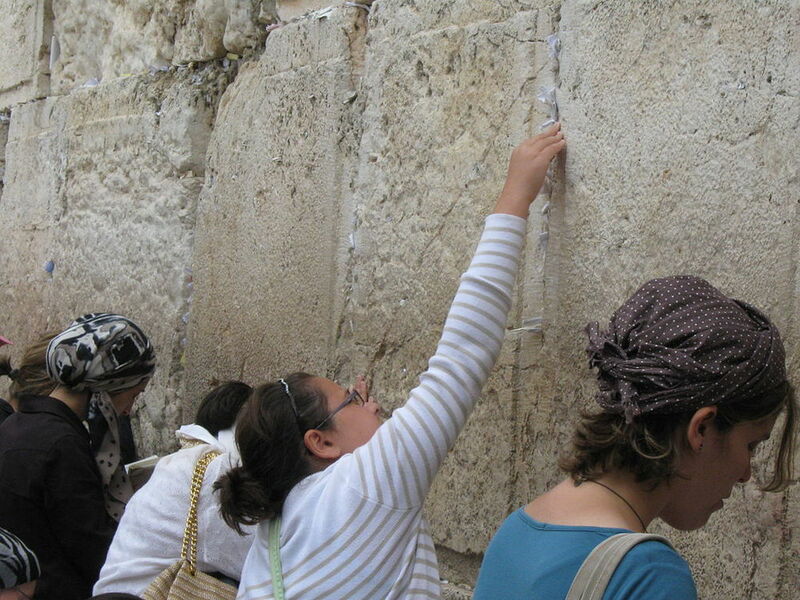 Media outlets were informed that Revelry was 'vandalized' and began to create a new narrative. MLive.com, WOODTV8, and many more captured the story and called on visitors to return the beads. In a surprising turn events, the call worked and revelers returned with beads, leaving bags of beads at the base of the fence reminiscent of memorial sites, or knotting beads to the fence in abstract patterns.